During 20 years of practicing psychology, I started to notice that an amazing number of people are running on empty. I discovered an “invisible factor” from childhood which weighs upon people in adulthood, sapping their joy, making them feel disconnected or unfulfilled or causing them to struggle with self-discipline. I call it Emotional Neglect. As I became aware of the full power and prevalence of Emotional Neglect, I felt compelled to drag it out of the darkness and into the light; to help people to see how it affects them, and to give them the tools to fix it. 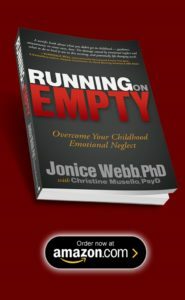 In 2012, I wrote a book called: Running on Empty: Overcome Your Childhood Emotional Neglect. It was the first book written about Emotional Neglect. 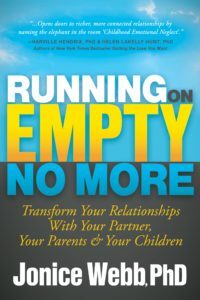 Click Here to download the Change Sheets from Running on Empty. 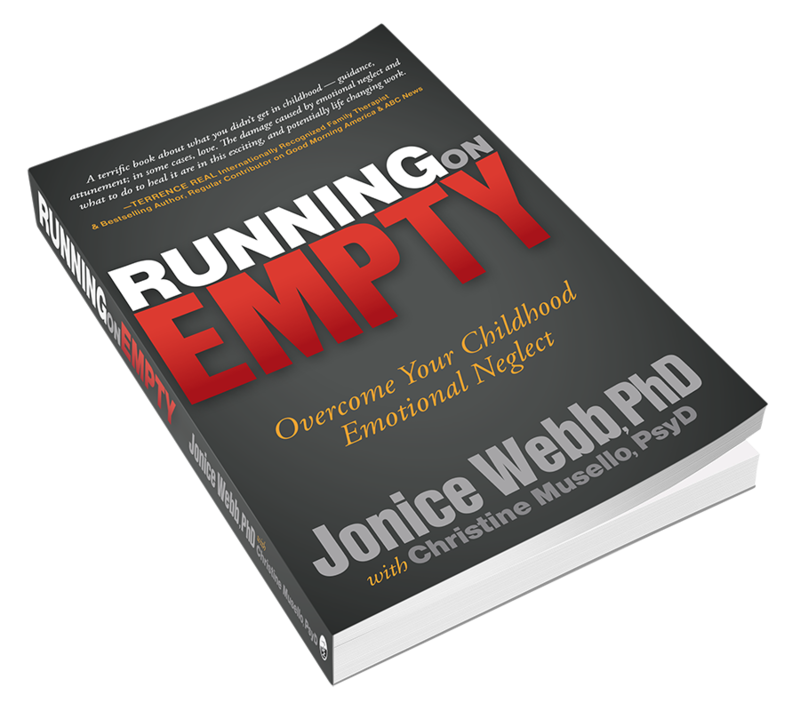 Click Here to download the Feelings List from Running on Empty. Click Here to see what more readers are saying about Running on Empty.